By the fourth season of any series, the instrumental palette and body of themes has been firmly established. I tend to look for opportunities to shake things up. For “The Walking Dead,” this shift in the music evolved naturally because the series itself introduces new characters, story arcs and a fresh perspective on the source material. 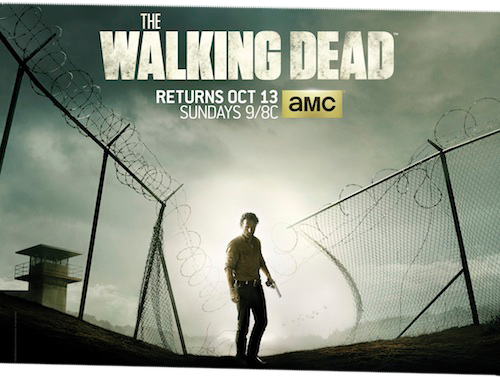 Season 4, though still packed with exciting set pieces and horrific thrills, begins as a slow burn. The premiere episode is titled ”30 Days Without An Accident,” and as the name implies, life for our protagonists in the prison has settled into a routine. 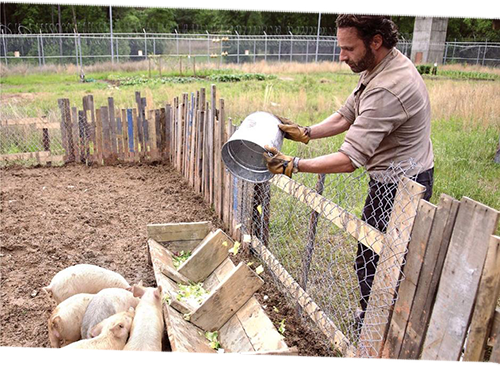 The prison has essentially lived up to the promise of the farm in Season 2. 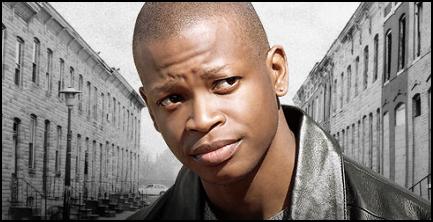 This concept sets up new narrative arcs for our characters, and introduces new ones as well, including Bob Stookey, played by The Wire‘s Lawrence Gilliard Jr. This new narrative approach required a different musical process. Season 3 built to a satisfying climax, and with it, my score evolved from the pounding, bass-heavy tones of The Prison Theme and The Pulse Theme into an elegant, chamber orchestral sound. So, I took the opportunity to hit the reset switch and bring the music back down to a minimal presence. Season 4 follows an exciting path, and I knew a lighter touch for the premiere would give me the room to expand further in coming episodes. In many ways, my score for “The Walking Dead” has returned to a fetal state. “30 Days Without An Accident” introduces the subtle hints of new character themes that will evolve throughout the season. Rick’s arc is represented by an evocative solo cello, played beautifully by cellist Peter Jacobson. Like the members of the Calder Quartet, Peter and I actually went to college together. (In fact, Peter’s brother is Ben Jacobson, Calder’s first violinist.) Back in the day, Peter played cello on some of my first compositions! In the intervening years, his career led to his collaborations with sitar maestro Paul Livingstone. 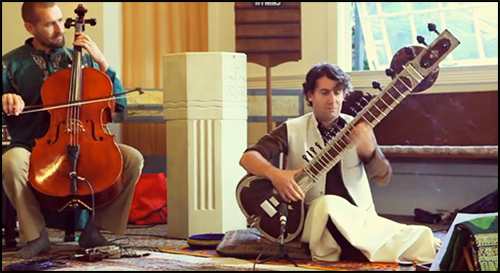 I was fortunate to witness Peter play cello with Paul in Chinatown a couple years ago and was amazed at how effectively Peter embodied the exoticism of Indian musical performance through his classical training. Whenever I hear an exciting musical performer, I always log it away in the back of my brain, awaiting the chance to apply that sound to my own music. I had no idea my college buddy Peter could play like THAT! When I saw Rick’s emotional, climactic scene of “30 Days Without an Accident,” I knew this was the perfect chance to bring Peter in. I wanted to feature an acoustic cello, but to still create an evocative, worldly sound. An actual ethnic instrument would risk making this heart-wrenching scene too cheesy. I thought Peter’s unique playing on a traditional cello would be the perfect solution. His sound is strangely alien, but also comfortingly familiar. When you see the scene, you’ll hear why I think it worked so well. There are several other new thematic ideas presented in “30 Days Without an Accident,” but they develop so gradually, you won’t even notice them until you look back several episodes down the line. One of the advantages of working on a series where story arcs are planned out this far in advance is that it allows the music to grow at a very organic pace. Season 4 contains some of my favorite sequences of the series to date. Zombie FX guru Greg Nicotero and his team take the gore to new levels of realism. The sound team, led by Jerry Ross, introduces terrifying new soundscapes. And the expanded cast provides us more characters to root for, and fear for. I am continually amazed at how effectively this season manages to shock and scare me, even though I’ve lived in this world day in and day out for years now. Enjoy this terrifying new season!